Congratulations on taking your first step toward earning your SITES AP professional credential! 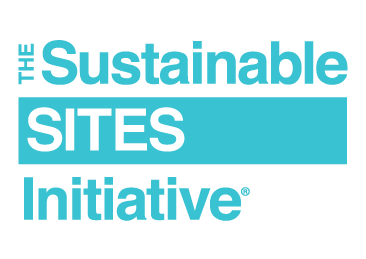 The SITES AP demonstrates to the marketplace your knowledge, expertise and commitment to the profession of sustainable landscape design and development. The key to earning a SITES AP credential is through a thorough understanding of sustainable landscapes and the SITES rating system. The primary source for the SITES AP exam is the SITES Reference Guide. When combined with the test specifications, you will have the materials needed to prepare for the exam. The test specifications provide an outline of the content areas of the SITES AP exam. The knowledge domains reflect the SITES rating system’s credit categories and what you need to know. Review the outline against the Reference Guide to help narrow your study efforts. Whatever your learning style, try using free study apps like Quizlet to help organize your study materials. Review the SITES AP sample questions in the Candidate Handbook. The items are provided for you to better familiarize yourself with the format and general content of items on the exam. There are 100 multiple-choice items (please note: only 85 of the 100 items are scored, but you will not know which, so be sure to respond to all items on the exam). You are able to change your answers, skip questions and flag questions for later review. You can leave comments on test items. Be sure to inform GBCI that you left comments, so they can be reviewed. You will be given two hours and 20 minutes for the exam, which includes 10 minutes for a tutorial, two hours to answer the exam items and 10 minutes for a post-exam survey. Recall items: Assess your ability to recall factual material that is presented in a similar context to the exam references. Application items: Provide you with a novel problem or scenario that you can solve using familiar principles or procedures described in the exam references. Analysis items: Assess your ability to break the problem down into its components to create a solution. You not only have to recognize the different elements of the problem, but you also have to evaluate the relationship or interactions of these elements. Learn more about the SITES AP by visiting the SITES AP page or the SITES AP FAQ page.